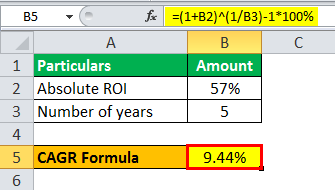 CAGR Formula | How to Calculate Compounded Annual Growth Rate? What is CAGR Formula (Compounded Annual Growth Rate)? 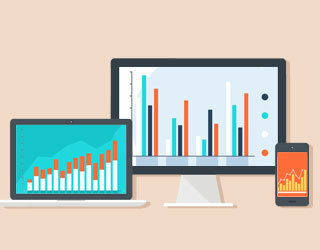 The term “CAGR” which is also known as “compounded annual growth rate” refers to the rate of return that has been achieved by an investment by growing from its beginning value to its ending value, based on the assumption that the profits during the tenure of the investment were reinvested at the end of each year. 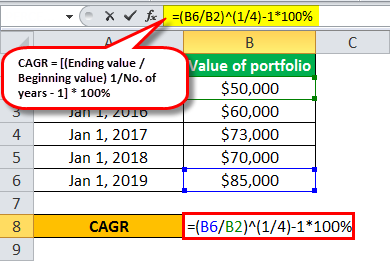 The formula for CAGR is derived by dividing the ending value of an investment by its beginning value, then raise the result to the power of reciprocal of the tenure if investment and then finally subtract one. 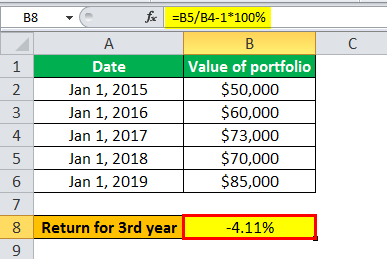 The formula for CAGR can also be expressed by adding one to the absolute return on investment (ROI), then raise the result to the power of reciprocal of the tenure if investment and then finally subtract one. Step 1: Firstly, determine the beginning value of the investment or the money that was invested at the start of the investment tenure. 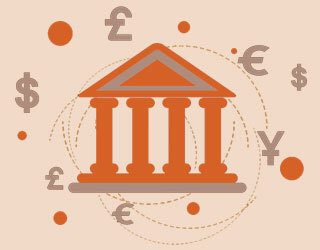 Step 2: Next, determine the final value of the investment at the end of the tenure of investment or the ending value. 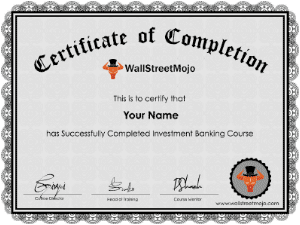 Step 3: Next, determine the tenure of the investment i.e. number years from the start of the investment to the end of the same. 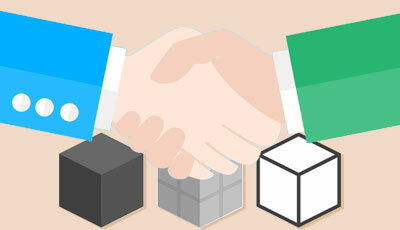 Step 4: Next, divide the ending value of the investment by the beginning value and then raise the result to the power of reciprocal of the tenure of investment. Finally, subtract from the result and express in percentage terms to derive the Compounded Annual Growth Rate Formula as shown above. Let’s see some simple to advanced examples of Compounded Annual Growth Rate Formula to understand it better. 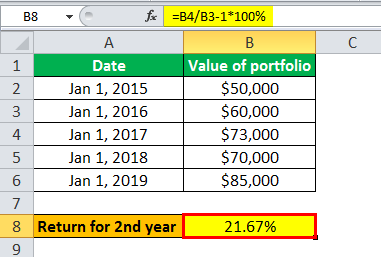 Based on the given, determine the yearly return and the CAGR for David’s investment portfolio. Use the following data for the calculation of CAGR Formula. Therefore, the above example shows how CAGR encapsulates all the growth and de-growth during the investment period and provides an average annual growth rate during the investment tenure. 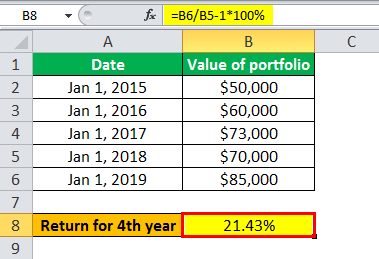 Let us take an example of an equity portfolio who has value growth such that the absolute return over the period of five years stood at 57%. 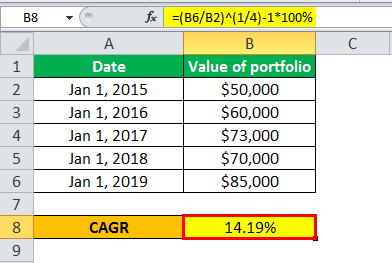 Do the calculation for the CAGR of the portfolio. Therefore, the CAGR of the equity portfolio after five years stood at 9.44%. 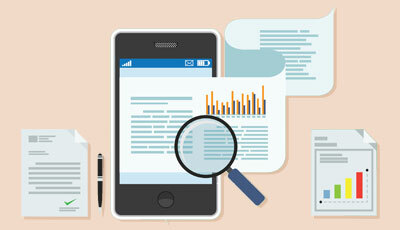 You can use the following CAGR Calculator. 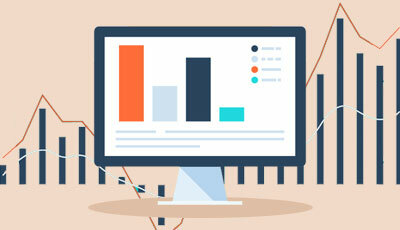 It is important for the analyst to understand the concept of Compounded Annual Growth Rate Formula because it can be used to calculate the average growth of an investment. Under certain circumstances, the market becomes volatile and as such the year-to-year growth of an investment may appear uneven and erratic. In such a case, the CAGR helps in smoothening the erratic growth rates that are expected due to market volatility and inconsistency. Another use of CAGR equation is that it can be used for comparison of investments of different types. Nevertheless, the CAGR has its own drawback that by smoothening the erratic returns on investment, the CAGR conceals from the investor the fact of how risky or volatile the portfolio has been during its investment tenure. However, despite the drawback, the CAGR remains a very useful performance indicator for investors and analysts. What Does Rate Formula do in Excel? 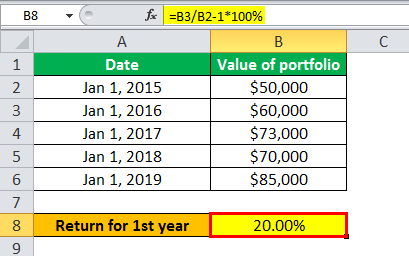 What is Return on Investment Formula?